When you walk into The Gill Center for Plastic Surgery, we want you to feel right at home. We have an inviting lobby area where you can relax and be comfortable before your appointment with our medical team. Our office is professionally decorated in warm, rich tones with cozy furniture. Before you visit with our double board-certified plastic surgeon, Dr. Paul S. Gill or our board-certified dermatologist, Dr. Anita A. Gill, we will have you fill out patient forms to gather medical information. The Gill Center is very fortunate to have a dedicated, highly trained medical staff that can answer your questions and show you around the office to help you feel at ease. 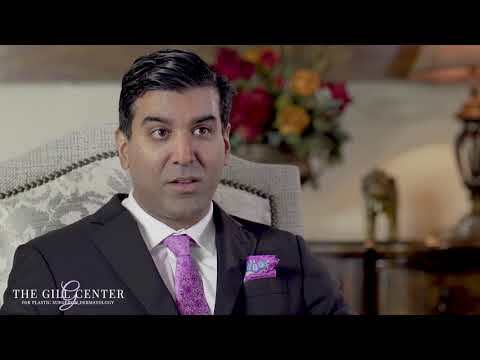 The Gill Center for Plastic Surgery and Dermatology is conveniently located in The Woodlands, TX right off of Interstate 45 in a medical office that is attached to Memorial Hermann Hospital. Your appointment may take place in one of our ten consultation rooms — based on who you are here to see. We have a large collection of before-and-after photos of our work to show you. We can help you visualize your surgery outcomes with examples of procedures we have performed. Drs. Gill and Gill perform plastic and dermatological surgeries out of the Memorial Hermann Surgery Center, which is located two floors beneath their office. It is outfitted with six operating rooms and has on-site recovery rooms. If you would like to learn more about our office or have a question about your appointment, please give us a call. We look forward to meeting you. In The Woodlands, you can book a consultation or follow-up visit with Drs. Paul or Anita Gill at The Gill Center for Plastic Surgery and Dermatology.